This summer my family and I were glued to our television for nearly a month, as we are every four years, during the FIFA World Cup. Even though the USA didn’t qualify, we were pulling for one particular team—England, where my wife and I lived during my doctoral studies. Sadly, the Three Lions were eliminated in the semi-final round, bringing an all-too-early end to our World Cup dreams. But it was an exciting tournament nonetheless and we were sorely disappointed when the final whistle blew. Despite our World Cup thrills, most viewers probably appreciated the tournament far more than we did. While my family and I are avid fans of football, the truth is we normally follow the other kind—American football, which is, as they say, a completely different ballgame. In fact, our familiarity with the players, rules, strategies, and team histories of international soccer are embarrassingly limited. We know enough of the basics to follow along, even enough to get caught up in some of the drama, but there is no question we would have understood and appreciated more of what we were watching had we possessed a deeper well of knowledge about the sport, even about international politics and pop culture. Believe it or not, reading the Gospel of Mark is not unlike watching the World Cup. Many readers can easily pick up their New Testament, read the Second Gospel, and walk away better informed about the life, ministry, and passion of Jesus Christ. They can even, as a result, grow in their love for our Lord and live more faithful lives as his disciples. But what Jesus said and did resonates at an altogether deeper level when one brings to the Bible greater awareness of the “game” Jesus was playing—that is, the game of Second Temple Judaism. Mark’s Gospel was written for readers with at least some familiarity with intertestamental Jewish history, politics, culture, and religion. 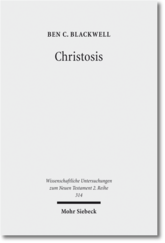 In fact, there are numerous pericopae that are in implicit dialogue with the Jewish theological traditions extant in the first century. Sometimes the evangelist himself tells us exactly what those traditions and beliefs consisted of. For example, when introducing the Sadducees for the first and only time in the narrative, Mark tells us they were a sect of Judaism that denied the resurrection of the dead (12:18). But at other times, Mark assumes his readers themselves possess the requisite knowledge to fill in the blanks about the who, what, and where of the narrative. 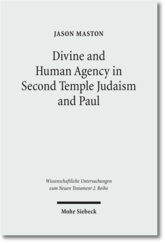 Our recently released collection of essays, Reading Mark in Context: Jesus and Second Temple Judaism (Zondervan Academic), seeks to show how familiarizing oneself with Second Temple Jewish literature can help fill those blanks. With a foreword by N. T. Wright and 30 essays by some of today’s most respected Markan scholars (Michael Bird, Darrell Bock, Helen Bond, Elizabeth Shively, Mark Strauss, Rikk Watts, and more), this book will help the reader study the text in new and enriching ways. 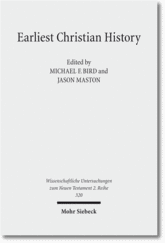 The volume was designed to cover the entire Second Gospel, but not to be exhaustive. Much more could be said both about Judaism as well as about Jesus. But hopefully this book will whet one’s appetite for reading Mark’s Gospel in context and for digging deeply into the world of the New Testament. If this book interests you, I encourage you to check it out! The Christian faith is based on the New Testament—but can we really trust the Bible? Skeptics say no, arguing that the Gospel manuscripts have been doctored to push a theological agenda. In this new Faithlife original film, Dr. Craig Evans (@DrCraigAEvans) takes this claim head on, traveling the globe to track down the most ancient New Testament manuscripts. Along the way, he highlights groundbreaking new evidence, demonstrating that the case for the reliability of the New Testament manuscripts is stronger than ever. Fragments of Truth is showing in cinemas on Tuesday, April 24 only. For those who will be in Boston on Friday, Nov. 17th, for the first day of the SBL conference, please consider attending the IBR Pauline Theology Research Group, organized by Nijay Gupta and me (John Goodrich). This is the group’s second year in existence, and we have another great session planned. Please see the details below. Hope to see you there! 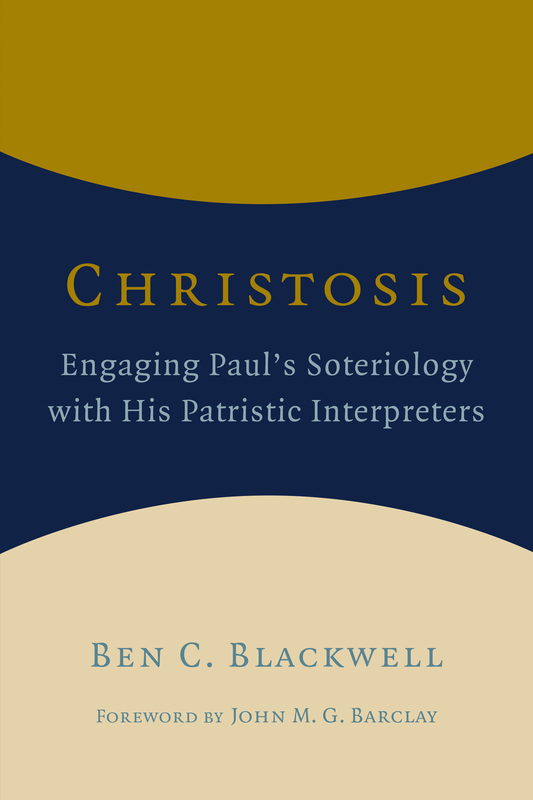 Often scholars examine Paul’s theology in terms of his “soteriology,” that is, the themes and constructs that comprise and influence his theology of salvation. This session takes interest in better understanding Paul’s soteriology with focused attention on Paul’s “sin” language (especially hamartia and its cognates, but also key synonyms). 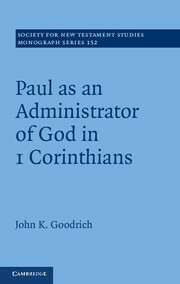 Sometimes Paul appears to present sin and disobedience as self-conscious transgression; at other times it is personified and treated as an enslaving power. Is there a model or perspective that can account for these? And what does this tell us about the Christological, Theological, and Pneumatological “remedies” to the problem of sin as Paul conceives of them? For further information, contact Nijay Gupta (ngupta@georgefox.edu) or John Goodrich (john.goodrich@moody.edu). See also https://www.ibr-bbr.org/ (Click on Research Groups).